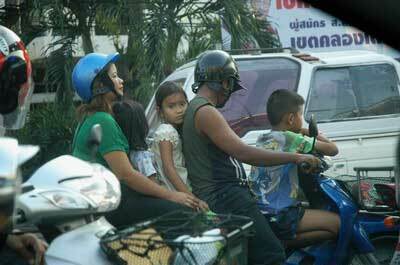 Bangkok has every thinkable solution for transportation. Including creative ways of sitting on a motorbike. Not always safe, but many do not care so much about that. Picture here is taken last week on my way home from work.